NATO defence ministers on 7 June approved a new “Four Thirties” initiative for the defence of Europe, particularly its eastern flank, amid an increasing Russian threat. The “Four Thirties” plan will enable NATO members to mobilise 30 land battalions, 30 air squadrons and 30 combat vessels within 30 days. According to Deutche Welle, the plan will comprise of around 30,000 troops, 300 aircraft and at least 30 vessels or submarines. According to Military Times, it’s a readiness plan to counter what the Pentagon perceives as an increasing Russian ground force threat. These forces could be drawn from across NATO and could rush to the assistance of any NATO ally threatened by Russian ground forces. Most vulnerable to the Russian threat are the NATO allies in Eastern and Northern Europe – Estonia, Latvia, Lithuania and Poland. “This is not about new forces. But about increasing the readiness of the forces our nations already have,” Jens Stoltenberg, the secretary-general of NATO, said after the meeting. A recent study by the Rand Corporation, an American non-profit global policy think tank, showed that the UK, France and Germany could each deploy a heavy brigade to the eastern flank of NATO within a month, but sustaining those forces would be difficult. This, in turn, means that more US forces would be needed in Europe. This is also the opinion of army general Curtis Scaparotti, the US European commander, who, according to Military Times, said that US resources may need to be diverted from ongoing counterterrorism operations in order to fulfil his task of Russian deterrence. He added that more US troops and spy planes deployed to Europe would help him do a better job. 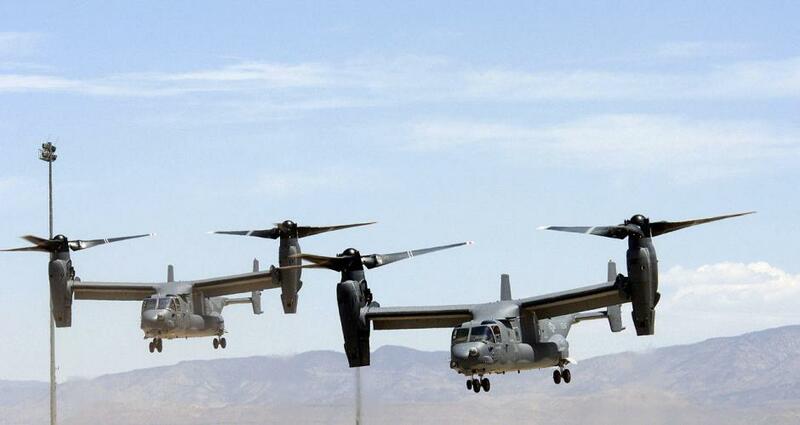 Cover: The US Air Force V-22 Osprey aircraft. Photo: US Air Force, public domain.